Lindsay Lohan may make her first formal return to the public eye since being released from jail on August 2. According to E! 's Marc Malkin, the troubled starlet, who was sentenced to a 90-day jail sentence in July for repeatedly violating the terms of her parole stemming from a 2007 DUI case (of which she served 13 days), was reportedly seen at the Nokia Theatre on Friday during rehearsals for the 2010 MTV Video Music Awards. 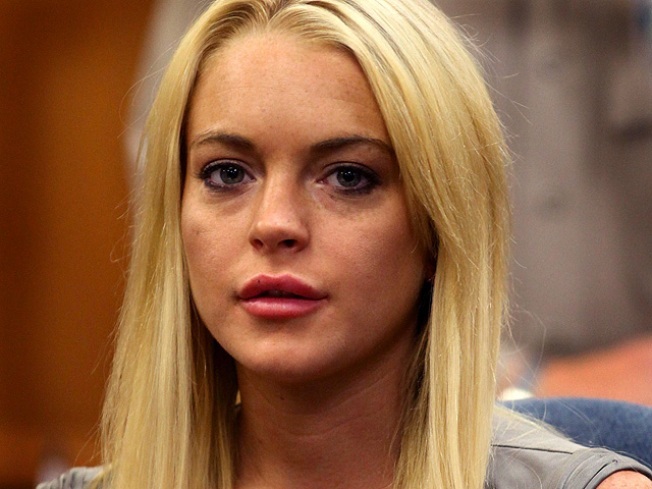 The "Machete" star's VMA appearance will reportedly address Lindsay's recent troubles, according to an E! source. Reps for MTV were not immediately available for comment on a possible LiLo cameo when contacted by Access Hollywood. PLAY IT NOW: Lindsay Leaves Rehab: What Happens Next? PLAY IT NOW: Inside The Pages: Lindsay Lohan In Vanity Fair - Was The Fame Too Much To Handle?